Parent company of SsangYong Motor Co., Mahindra and Mahindra Group, has announced that the Korean car manufacturer sold 143,309 vehicles in 2018. The total amount of sales mentioned is a combination of 109,140 sales in the domestic market and 34,169 in exports, which include CKD kits. The 64-year-old South Korean car manufacturer has registered impressive figures over the years. However, sales in 2018 continued to record a consecutive nine-year growth in the domestic market. 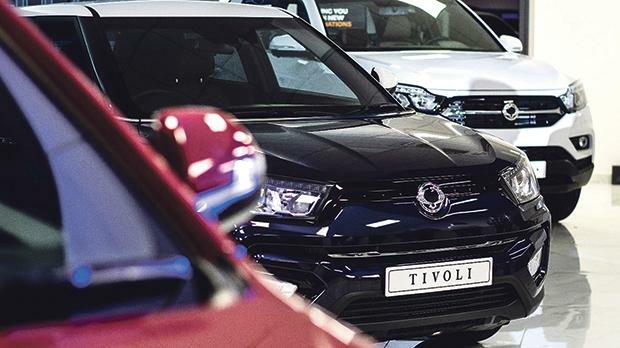 This improvement has paved the way for SsangYong to become the third most successful automotive company in Korea, with Tivoli and newly launched Musso being the main protagonists in the automotive industry. Subsequent to the introduction of SsangYong’s Musso into the domestic Korean market, record sales of the mid-size SUV were recorded, branding it the most successful pick-up styled sports brand in the history of SsangYong. Within a year, over 42,000 units of the vehicle had been sold, consequently producing the best domestic sales performance in 15 years, raising the bar for the other SsangYong brands to follow. The well-known Tivoli brand complemented this success by exceeding sales of over 43,000 units within the domestic B-segment SUV market. With the best recorded monthly sales, both domestically and internationally, in 2018, 2019 promises to become SsangYong’s most successful year to date. Ever since the acquisition, yearly investment and innovation by parent company Mahindra and Mahindra have rejuvenated SsangYong Motor Co., which has taken the opportunity to flourish over recent years. To view the SsangYong model range, visit the SsangYong Motors Malta showroom in Attard, which is open from Monday to Friday between 9am and 6pm and on Saturday between 9am and 1pm. For more information, call 2339 2340/1 or 7979 8998. One can also e-mail info@smotor.mt for more details. SsangYong Motors Malta is a mobility business unit within Famalco/Building Businesses.